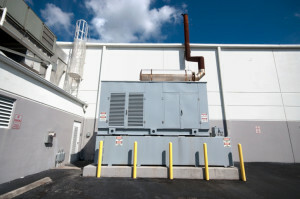 What Industries Can Benefit From Generator Louvers? Louvers are a fantastic option for helping protect generators, but what industries benefit most from the pair? Installing a generator is one of the best ways of ensuring backup power when you need it most. Most of the time, you aren’t going to get much use out if it—but when it comes through, you will be happy you had it. The fact is, most homes or businesses can get through power outages without any issues. Every once in a while, though, there’s a building that needs power to keep them powered through the conditions. That’s where generators come in, and in turn, where generator louvers come in. Proper louvers can aid in keeping a generator up and running so let’s take a look at who can benefit from generators the most. For educational buildings, extended power outages can spell disaster for staff and students alike. Letting students get behind in their rigorous academic curriculum can spell big problems for students who get a lot of value out of attending class regularly. Not to mention if power goes out during the school day, it can create a dangerous environment for children as they could harm themselves in the shuffle of trying to leave the building. That’s where a generator comes in as it can keep lights up and running even in emergencies. A hospital losing power, even for a short period of time, could be completely disastrous and even deadly. Between life support machines, operating equipment, oxygen tanks, and heart monitors, it’s important to keep every piece of technology up and running in a hospital. Louvers can add the benefit of efficiency as well and keep those generators running even in emergency weather. For hospitals, generators aren’t an option—they’re a necessity in keeping people alive and well. Facilities like police stations, fire departments, and so on all rely on power to provide crucial services to the people around them. Without power, that becomes difficult. Communication is paramount for first responders to be able to do their jobs and that all requires power. As a result, it’s no surprise that many of these buildings are outfitted with generators to keep them in working order. This entry was posted on Friday, July 27th, 2018	at 11:40 am	. You can follow any responses to this entry through the RSS 2.0 feed. Both comments and pings are currently closed.